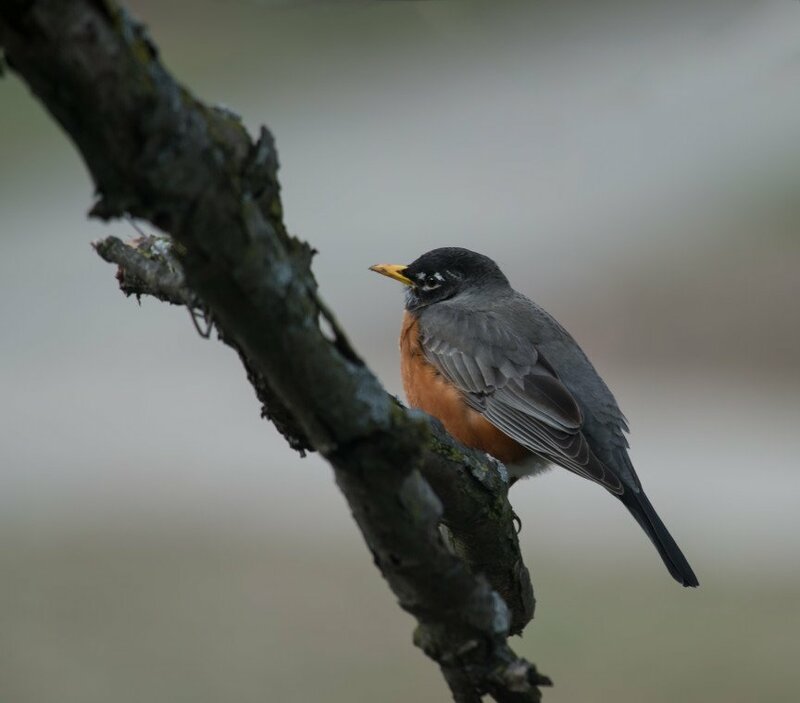 Sure signs of spring are the grass greening up, temps rising and the unmistakable sound of the American Robin. We have about 6 full size trees on our lot and I have numbered them so when my wife of daughter sees something of interest, they can identify what tree it is in. Makes life easier for sure knowing exactly where to go. The other day my daughter hollered to me that there was a Robin in what we call tree 5. I said that it great and having quite a few of these pics in my files already, I did not jump right away. She repeated the siren of a Robin in the tree and noted that she really wanted a picture of it. Well now of course it has emotional attachment as the apple of daddy’s eye wants a picture. She now has this simple shot on her desktop which makes it one of my favorites now. I am pleased that she is interested in wildlife and has shown a real budding interest in photography as well. Photography was meant to share and there is no better people to share it with than family.